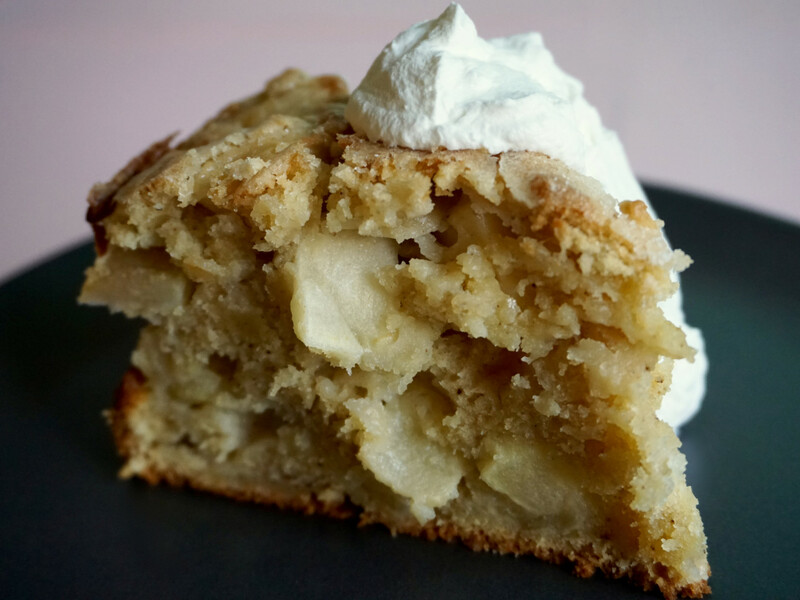 Top this sweet, spiced apple cake with a dollop of homemade whipped cream. 1) Preheat the oven to 375°F. Butter and flour an 8” springform pan. 2) In a large mixing bowl, combine the sifted flour, baking powder, clove, nutmeg, and salt. Mix to combine evenly. 3) Using a pastry cutter or your hands, cut the butter into the flour until the mixture looks like fine breadcrumbs. 4) Add 5 ½ oz sugar and mix to incorporate evenly. 5) Peel and core the apples. Cut the apples into ¼” slices, then cut the slices into thirds. Fold the apples into the flour mixture. 6) In a medium mixing bowl, whisk together the eggs and milk. Pour this liquid into the flour mixture and mix until just combined. The batter should be thick and somewhat stiff. 7) Transfer the batter to the prepared springform pan and use a spatula to spread it out evenly. Sprinkle the remaining 1 oz sugar over the flattened batter. 8) Bake until the cake is golden brown and a tester inserted into its center comes out mostly clean (the cake will remain quite moist from the apples), about 45–50 minutes. Let cool in the pan for 20 minutes, then remove the springform collar. Finish cooling before slicing. 9) To serve, slice the cake and top each serving with a dollop of whipped cream. This recipe was adapted from The Kitchen McCabe. 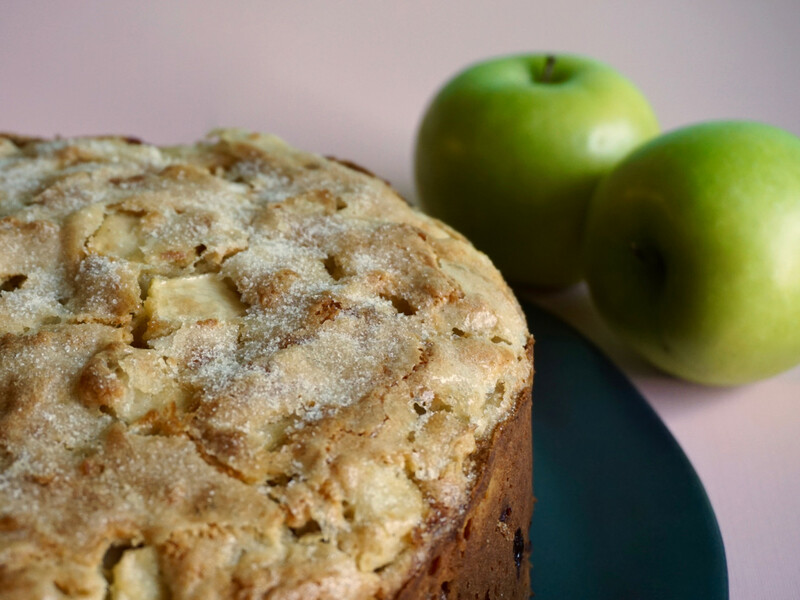 This entry was posted in Blog and tagged apple, apple cake, breakfast, cake, dessert, Granny Smith, recipes, St. Patrick's Day.